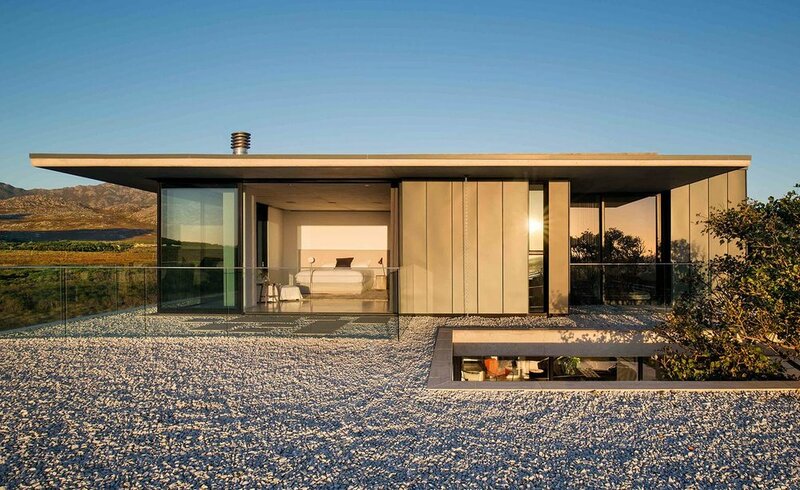 Cape Town-based architecture practice Saota has used its local knowledge to build a hoilday home that resists extreme weather conditions while taking advantage of the sunlight and the sunsets at Pringle Bay. 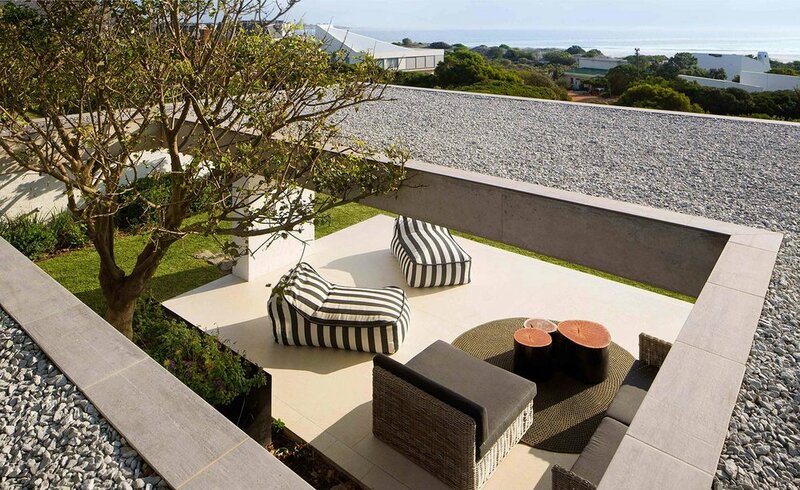 Nestled in a rocky landscape at the foot of the steeply rising Hangklip mountain and overlooking the South Atlantic ocean, Restio River House had to be robust in its construction, yet comfortable and relaxing within. Saota director Philip Olmesdahl brought an intimate awareness of the geographic area to the project: ‘We live in Cape Town, where we work, but our "home" is in Pringle Bay,’ he says. Olmesdahl lived on the property for almost ten years before building, so had the opportunity to understand the intricacies of the changes in light across the day and the seasons.